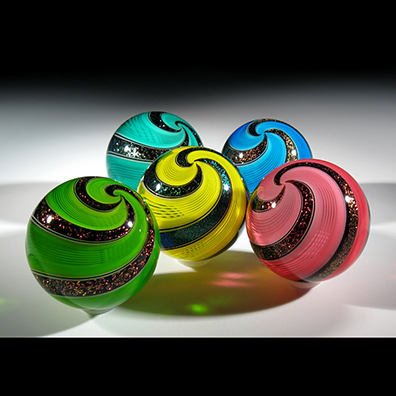 I see my marbles as a distillation of all things glass. They have all the attributes of glass, the color, texture, transparency, opacity, etc. contained in one small little object.